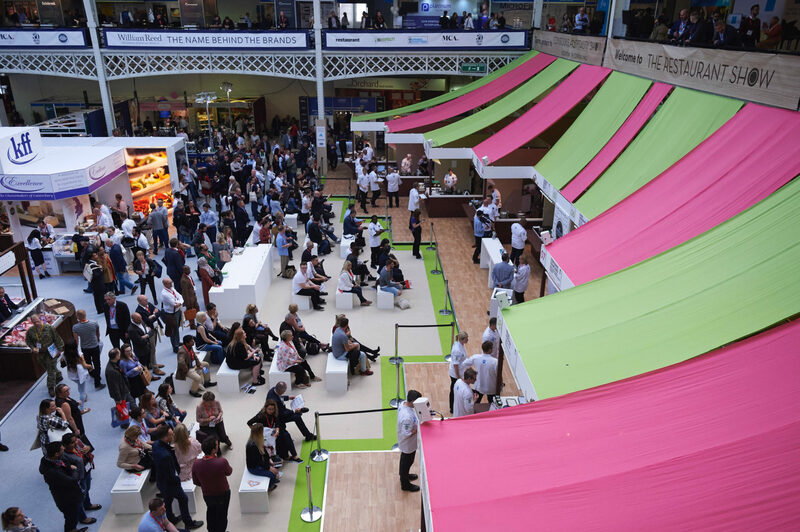 It’s the 30th anniversary year for The Restaurant Show and the event is shaping up to be a celebration of the hospitality industry, with big names, culinary battles and insight-packed live sessions due to take place at the October exhibition . There will also be new products and services from over 450 suppliers across The Restaurant Show, Bar & Pub and Catering Equipment Expo. The live stage will see some well-known industry names talking through their journey so far. This includes the opportunity to hear from chef Tom Kerridge, who’s currently out to crack the capital with his new restaurant dedicated to outstanding British cuisine. There will be the opportunity to pick up some industry insights when Daniel Clifford, chef patron of Midsummer House takes to the stage at the show. This year’s show will offer a range of discussions and panel sessions, with Open Table joined by a series of expert panellists throughout the show. The Trend Watching sessions from MCA Foodservice with see executive director Simon Stenning talk you through the emerging trends and how they apply to your business. From sake tastings and Japanese food pairings, to wine tastings with Master of Wine, Peter McCombie, there will be heaps of food and wine on offer at the show. There’s also a masterclass in cheese to enjoy, with cheese writer Patrick McGuigan and Matthew Carver from The Cheese Restaurant in Camden. Talented chefs compete to become the new National Chef of the Year and passionate newcomers cook up a storm for the chance to be crowned Young National Chef of the Year.